In preparation for next month I tried a bit of Sun photography this morning. A filter is essential both to get reasonable photos and to protect the camera; but a lens filter for my Nikon is more than $100! Instead I found a very inexpensive (<$20) cardboard filter attachment, and tried it out this morning. I think I need some more practice with exposure settings as there’s no detail in the Sun – but the results are much better than with no filter. 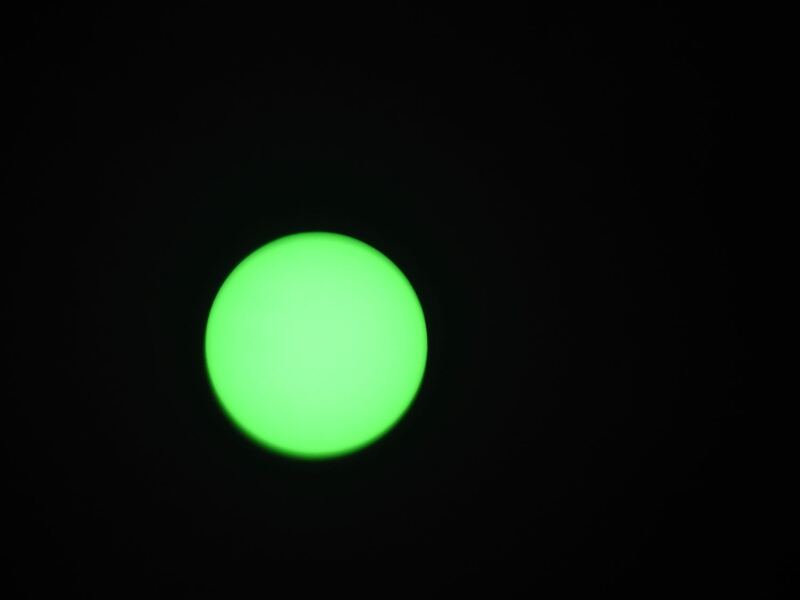 I did also try a “welding glass” as a filter but it’s pretty useless, making the Sun green! 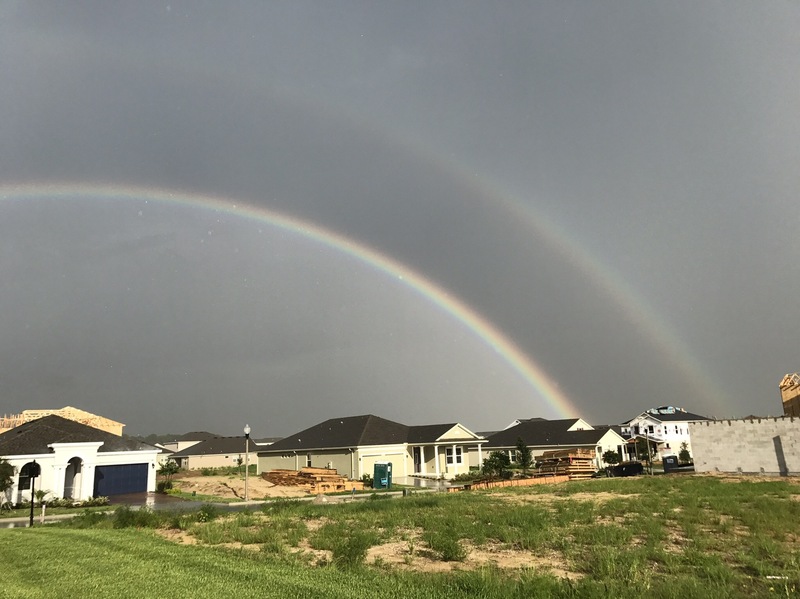 Posted on June 17, 2017 June 19, 2017 by Ian C.
With Margaret driving us home this afternoon, we watched the rain get heavier while the sun continued to shine – a rainbow formed of course. But as we got back to Independence the rainbow showed really strongly, with a strong second too; we stopped so I could take photos! I was very surprised to see the rainbow continue “below” the horizon; not sure if it’s a camera glitch or a real effect! Posted on March 11, 2017 by Ian C.
When we arrived, the conservatory was being redesigned, but now it’s finished. Not all the flowers are in bloom yet, so it’s not at it’s best – but it’s still very beautiful! Posted on May 29, 2015 February 18, 2017 by Ian C.
Seven for a secret, never to be told? Posted on January 6, 2015 February 18, 2017 by Ian C.
I’ve seen two and sometimes three Sandhill Cranes together, during my walks – but I’ve never seen seven all together, before today! Posted on December 21, 2014 February 18, 2017 by Ian C.
Margaret and I met and lived in Newcastle, England, for a while before moving to America – and we loved living there. Newcastle is a great and thriving city with plenty of entertainment, shopping and restaurant choices including many excellent Indian food options. We lived by the Metro Centre (once Europe’s biggest shopping mall), and regularly saw our friends Sheila & Paul, and Barnie & Dave. Returning to England recently I was reminded of all we’ve left behind – but also reminded of the damp grey cold weather and the challenges sometimes of driving on England’s busy roads. We emigrated almost 20 years ago now and spent most of that time in Gloucester (chosen because my work is the next town over, in Essex); we had wonderful neighbors Joanne & Earle and Pat & Dave and we certainly miss them all (we are visiting at the end of this month so another reminder is coming). But again the extremely cold winters and regular snow shoveling make Massachusetts a place that we finally chose to move away from. It helps too that I can work here (with zero commute) just as efficiently as I could in Essex, and that we can even in the middle of “winter” go out walking in our neighborhood or around the Disney parks in T shirt and shorts. Of course it does rain here in Florida, but even the rain is often impressive with torrential downpours that leave as quick as they arrive – and since a cold Florida winter is still warmer than a warm Massachusetts winter, we don’t much worry about that! I’m sure there are many places we’d enjoy living, but right now our new home in Florida suits us just fine. Posted on October 16, 2014 February 18, 2017 by Ian C.